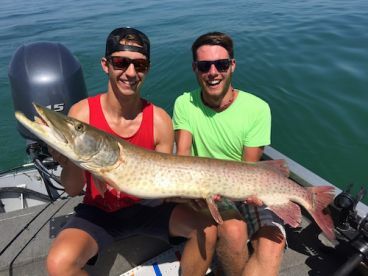 The Muskellunge, or Musky, is an elusive northern freshwater fish belonging to the Pike family. It's targeted mostly for sport and trophy purposes. 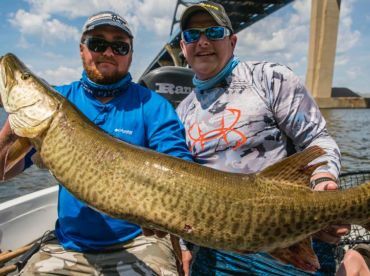 Muskies are, like other Pike, elongated ambush hunters with a carnivorous diet. They prefer shallow waters with plenty of vegetation to help them spawn and attack unsuspecting prey. They are apex predators with only humans to fear. 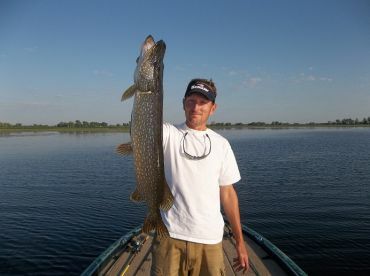 They can be distinguished from the Northern Pike based on their texture, which, if existent, will show patterns darker than the background color, opposite to the Pike. 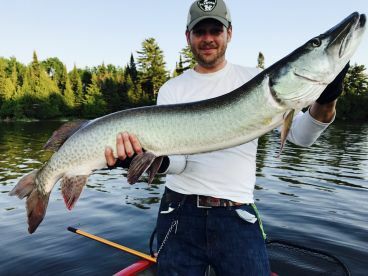 As the largest fish of the Pike family, Muskies can frow to almost 6ft and 70lbs. 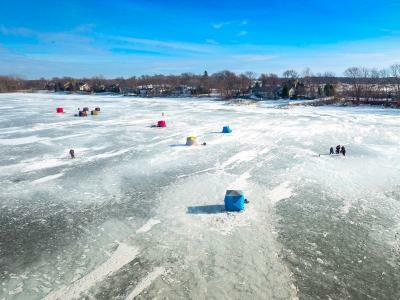 They average between 25 and 50'' and 15 and 35lbs. 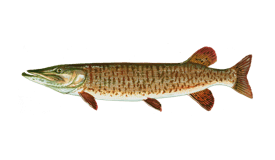 Muskies are endemic to the northeastern USA, ranging from the Great Lakes and the St Lawrence River to Georgia. 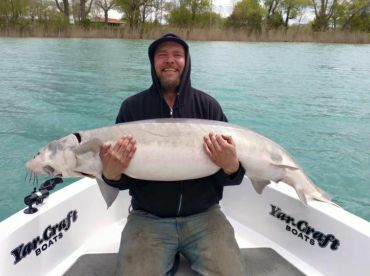 They have been introduced to other fisheries, where they are, however, considered invasive to Lake Trout populations, so anglers are encouraged not to release them. The species is carnivorous and will take live bait such as minnows or juvenile bull frogs. Artificials are also successful, and these can be spoons, plugs, bucktail jigs, spinnerbaits or similar. They can be trolled or cast. During spring months, they will be eating smaller prey, so bait size should be correspondent. 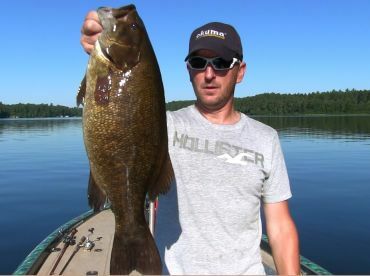 Larger bait should be used during fall. 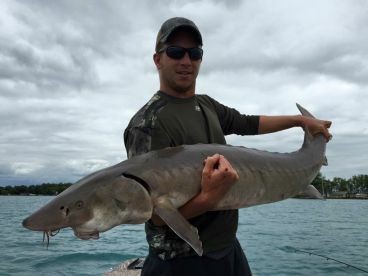 An excellent resource for further reading on Muskie fishing tips and techniques can be found here. 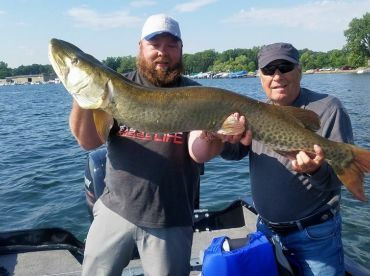 When hooked, Muskies perform intense, but short initial runs and head shakes trying to throw the hook. 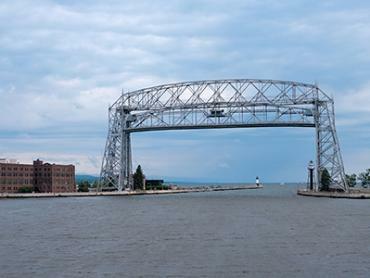 They are also known for their spectacular aerial displays. 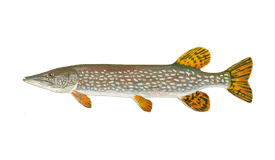 They are delicious table fare, but are most often released in order to conserve stocks.